As those who have been following this blog and other events know, I am covering the current disciplinary proceedings against National Museum of Natural History (NMNH) mammalogist Kris Helgen. He is accused of attempting to illegally export animal specimens from Kenya and other related charges. My original story in The Verge was followed by two blog posts which I would urge you to read if you have not already. The charges against Helgen, and the alleged evidence to support them, are laid out in an 8-page "Proposal to Remove" signed by Gary Graves, current chair of the NMNH's vertebrate zoology department. I discuss them at length in the above articles. However, there are some important aspects of the Proposal that I have not yet had the chance nor the space to reveal. According to sources intimately familiar with the document, Graves, before deciding to recommend Helgen's dismissal, considers two "mitigating factors": His past "outstanding" work record, and his clean personnel record before these alleged incidents. These mitigating factors take up only six lines in the document. Graves then goes on to consider the "aggravating factors." These take up just short of two full pages, single-spaced. Among these aggravating factors, Graves cites Helgen's position as a "role model" to staff, and states that he does "not believe you can continue to supervise, or even to mentor" given the seriousness of the charges. In my reporting on this story, I heard other testimony, from senior scientists, that Helgen was considered an excellent mentor. 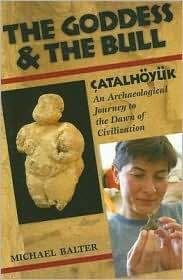 For example, Bernard Wood, a physical anthropologist at George Washington University who figured heavily in my earlier story about the sexual misconduct charges against Brian Richmond of the American Museum of Natural History, told me that Helgen is "an excellent scientist" who "cares about the collections and about the people who want to use them. He gives such people, especially inexperienced students, wise advice and deals with them in a way that reflects in an extremely positive way on SI's NMNH." "When Kris took over as Curator-in-charge of the Division of Mammals, it was a somewhat moribund group, with aging curators and little outside involvement of students and postdocs. Kris changed that in a very big way by attracting a large cadre of extremely talented students and fellows from all across the country. Kris spends a huge amount of time helping these young folks get on with their careers. He holds regular meetings of his lab group, and encourages them in a variety of ways. He generates field opportunities for them, and helps to generate funding for their research activities. He completely rejuvenated the Division of Mammals, turning it into a beehive of activity, with specimens coming in from all over the world, and visitors coming to work with him and his group." It has come to our attention that Dr. Kristofer Helgen has received a proposal to be removed from his position as Research Scientist and Curator of the Division of Mammals, NMNH, Smithsonian Institution. Though we are not aware of specific allegations involved, we are surprised to learn that concerns have been raised regarding Dr. Helgen’s integrity, ethics, and ability to effectively mentor and supervise students and staff. This letter is written by Dr. Helgen’s current and former interns, graduate students, and post-doctoral advisees who have benefited from his superior teaching and mentoring skills, and witnessed for many years his ability to ethically perform his role as a scientist and supervise with the utmost integrity. Dr. Helgen has advised over forty students from fourteen countries in the relatively short time since his PhD was awarded in 2007. With a multidisciplinary and international group of early-career scientists working under his supervision, Dr. Helgen constantly guides and participates in the planning and execution of diverse research projects. These interactions provide Dr. Helgen’s advisees with opportunities for enhancing and acquiring professional skills, both conventional ones—like high-impact scientific writing, effective public speaking, securing research funds, and student mentorship—and less conventional, more modern ones—like science communication through mainstream and social media, research-group leadership, and considering scientific careers outside of academia. His supervisees regularly receive prestigious grants and fellowships from prominent institutions, including the National Science Foundation (Graduate Research Fellowships, Dissertation Improvement Grants), Fulbright Program, National Geographic Society, and from the Smithsonian Institution and many other graduate programs. Perhaps most importantly, Dr. Helgen’s postdocs have received remarkable guidance and support while preparing for applications and interviews to secure academic positions. This is demonstrated through the remarkable record of postdocs in his research group continuing on to highly competitive positions as research scientists or faculty members at the United States Geological Survey, Smithsonian Institution, University of California at Santa Barbara, University of Chicago, Marshall University, Cardiff University (UK), Tokai University (Japan), Oswaldo Cruz Foundation (Brazil), University of Brasilia (Brazil), and Escuela Politécnica Nacional (Ecuador). It is no coincidence that so many of Dr. Helgen’s mentees continue to succeed during their time at the Smithsonian and in their onward endeavors. His mentoring style includes regular check-ins, thoughtful editing and guidance, and prompt email responses (at any time of day or night!). Dr. Helgen is deeply dedicated to helping his students and fellows achieve their goals by focusing on their intellectual development. For example, he helps mentees improve their writing skills both through organized group writing sessions at which everyone is equally welcome and treated with respect, and focused discussions aimed to develop, for each individual, relevant skills toward scientific proficiency. In one of these recent group sessions, each participant selected a journal article from Nature or Science, wrote a thoughtful response, and presented it to the group and to Dr. Helgen for detailed discussion. Once honed, Dr. Helgen encouraged many supervisees to send their response pieces to Science and Nature to be considered for publication. Dr. Helgen succeeded in the difficult task of creating a space comfortable enough for honest critiques by focusing on the positive qualities of everyone’s work. Other group sessions organized by Dr. Helgen include updating CVs, critiquing journal articles, and practicing professional talks and presentations. He stresses that regardless of academic position, exceptional writing and public speaking skills are paramount to success in science. Dr. Helgen has always emphasized and demonstrated the fundamental importance of scientific integrity in all facets. For example, Dr. Helgen urges compassionate and professional treatment of everyone involved in his research program, in designing and publishing research of the highest possible standard, and in the care and use of animals in research. He has worked with many of us, as well as our colleagues and collaborators, to ensure we uphold the most responsible and ethical practices in handling museum specimens and transactions, seeking appropriate permissions for every project and international transfer of samples. Moreover, Dr. Helgen always invites not just all of his fellows, students, and interns to his lab meetings and discussions, but also the technical staff in the Division of Mammals allowing for a diverse forum where people at many different stages of career development and with many different interests can interact productively and collegially. We also acknowledge Dr. Helgen’s modesty and selflessness. Most of his mentoring happens one-on-one, outside the view of others, and represents an incredible amount of time and effort. He creates as many opportunities as possible for his mentees to be involved and included in publications. He rarely takes first authorship of publications, does not argue about his position in the author line of a manuscript, and actively facilitates publications in his research group on which he is not included as an author. Dr. Helgen also encourages students to participate in otherwise inaccessible outreach activities throughout the museum. These range from intimate opportunities for meeting visiting scholars or dignitaries to high-profile events, and have included the Congressional Night at the Museum, NMNH Director’s Circle event, ‘The Scientist Is In’ programs across many of the museum’s halls, Women and Girls in STEM, Smithsonian Science How, Smithsonian Family Day, the US Science and Engineering Festival, and visits to local elementary schools, among others. His leading role in the two-week intensive field course Species Monitoring and Conservation of Terrestrial Mammals (Smithsonian-Mason School of Conservation at Front Royal, VA) draws students from around the world to learn firsthand the critical skills which are required to succeed in mammalian conservation biology. Dr. Helgen teaches a day of museum studies where a variety of specimen-focused activities are planned to introduce collections-based research for the first time to many of the participants. He also leads activities in the field and laboratory across the intensive two weeks of the course. The course design allows for a large amount of interaction between the participants and instructors, and has fostered many international friendships and collaborations, and every year Dr. Helgen picks students and fellows in his research group to assist in teaching the course. By encouraging his students to participate in these activities that are traditionally considered extracurricular in academia, Dr. Helgen exposes students to fundraising, public scientific engagement, and mentoring skills that are crucial to our success in a difficult and unpredictable job market. Dr. Helgen’s scientific energy and integrity, the level and scope of his expertise, and his engagement as a mentor have surpassed our expectations during our time under his supervision. Student and fellow involvement in the NMNH Division of Mammals was rare prior to Dr. Helgen’s hiring and has been transformed since his appointment in 2008, with more students and fellows associated with the Division of Mammals than any other division at NMNH, especially since Dr. Helgen was appointed as Curator-in-Charge in 2009. This position of leadership and supervision allowed Dr. Helgen to create a “safe” space for young scientists of all backgrounds. The Division of Mammals has seen remarkable activity by Dr. Helgen’s mentees, including participation at weekly “Mammals Coffee”, collections use, and collaborations with other departments and Smithsonian units, for example the NMNH Departments of Anthropology and Paleobiology, the Smithsonian Mason School of Conservation, and the Center for Conservation Genomics, SCBI. For the past 5 years, Dr. Helgen has overseen what is arguably the largest and most active research group of young mammalogists in the world. Dr. Helgen is the reason why many students and fellows choose to apply to the Division of Mammals and we have felt fortunate to be advised by him and inspired by his excellence and compassion. We have been impressed by his ability to supervise large and complex teams and to ably manage, across the past seven years, a Division that consists of interns, students, fellows, contractors, technicians, visiting scientists, and many active and emeritus principal investigators, from multiple government agencies, including many well-known scientists and challenging personalities! That he has done this at such a young age (appointed as head of the division at age 29) and while building a family is an inspiration to all of us as young scientists. Finally, Dr. Helgen spends an equal amount of time, energy, and devotion to each of his students, regardless of their gender or ethnicity. While women are equally represented in science at the level of graduate school, they are still woefully underrepresented at the highest rungs of the academic ladder. Many anecdotes suggest that one contributing factor is the lack of access to networking for women, and women with families in particular. Similarly, minority students do not always have the same level of access to networks or supervisory support necessary to succeed as scientists. Dr. Helgen’s leadership style eliminates this factor, as he invites every team member to any event, work-related or for fun, and also encourages mentees and staff who are new parents to feel free to be able to bring their babies to work, including to lab meetings and divisional events. He celebrates every student victory vocally, and supports students in distress privately. His door is always open. Dr. Helgen has been a great pillar of support in understanding diversity issues in STEM and broadening participation. His guidance impacts not only the professional trajectory of his students, but also their personal well-being in handling the acute stresses and challenges of academic development. It is not an exaggeration to say that Dr. Helgen has inspired a generation of young scientists, and his impact on mammalogy and conservation biology is redoubtable. Dr. Helgen’s efficacious mentoring constitutes a remarkable track record of success for the Smithsonian and has made an invaluable impact toward increasing the number and diversity of young scientists working at the NMNH. His removal would be an incredible injustice and a calamitous and embarrassing mistake for the National Museum of Natural History. We find any criticism of Dr. Helgen’s integrity, ethical standards, or ability to supervise to be contrary to our collective experiences, and completely unsupportable. We respectfully ask that you consider our letter and our statements, provided by a diverse cross-section of young scientists from around the world, in reviewing Dr. Helgen’s conduct as a Smithsonian scientist, which in our view has always been of the highest and most professional standard. The letter below was supplied by Bernard Agwanda--a mammalogist at the National Museums of Kenya and one of the four co-leaders of the Kenya expedition including Kris Helgen--to Helgen's attorney to be used in his defense of the current charges against him lodged by the National Museum of Natural History. Agwanda, who was interviewed for my article for The Verge on this case, kindly provided it to me and gave me permission to make it public. I think it speaks for itself in many ways. A couple of people are named in it: Molly McDonough, a postdoctoral fellow at NMNH who was a member of the expedition; and Priscillar Mutungi, the KWS technician mentioned in the article as the supposed "inspector" of the samples at issue. To fit this blog page I have made some formatting changes in the original letter, but it is reproduced in full with no changes or cuts in the text. I think it will shed considerable light on the problems with the museum's investigation of these charges, and provide some insights into their likely validity. 1. I was and I still am the project’s Kenyan counterpart PI at the sponsoring Kenyan institution (National Museums Kenya, NMK), and I was thus an integral part of the project planning and implementing team, and I worked with due diligence to follow all relevant laws and policies and guide the project accordingly. 2. As part of the project leadership, I have never received any communications from the Smithsonian or from Kenyan institutions/persons requesting for a statement to confirm/dispel accusations against Kris regarding Kenyan samples and permissions. 3. As far as I can see, there is no Kenyan institution accusing Kris of misconduct, rather, the accusations are generated within USA by Smithsonian specifically. I’m deeply shocked and saddened that Kris has been subjected to not one but at least two separate investigations on the same case, for the last 9-months, by SI officials who didn’t find it necessary to consult the Kenyan sponsor, Co-PI, and co-organizer over these ridiculous allegations. This is as disrespectful as it is flawed. Are these investigating persons genuinely after the truth on this case? Or is the case against Kris really about the expedition in Kenya, or are there other motivations by Smithsonian parties? These are the questions my mind has been grappling with since I received the news. While I find it distasteful to try to answer such obviously false incriminations against Kris, I wish to force myself to speak to these allegations in order to defend his honour as he has done no wrong. I first briefly highlight legal procedures of doing research in Kenya, because Smithsonian officials involved likely have very limited understanding of these matters. A foreigner intending to undertake research in Kenya has to find an affiliation in a local institution competent in the discipline of that research. In this case, Kris applied and obtained affiliations with NMK (my employing institution). He went further to apply for affiliation with Kenya Wildlife Service (KWS). With affiliation, one can then apply for government of Kenya research permit under National Council for science and Technology (NACOSTI). Kris did this, obtaining overall research permit/clearance by Government of Kenya (GoK). Next, in biodiversity research, the community around the site has to give consent in what is called Prior Informed Consent (PIC). The institutions holding mandate too must give consent, in this case KWS since it is a park, provided PIC. Because biological collections were involved, Kris insisted that NMK had to give him a statement of objection or no objection before going to the field. NMK gave him greenlight. With all these permissions, Kris went further and successfully applied for overarching government of Kenya biological sample export permit, under National Environment Management Authority (NEMA). One would expect that with overall GoK research clearance (NACOSTI) and overall GoK export permit (NEMA), the project is good to go. Kris however insisted on getting Material Transfer Agreement (MTA) with the institution legally mandated to manage biological collection-NMK. He also requested to meet NMK and KWS leaderships to ensure that even individual/personal concerns are fully addressed. One can ask which project in Kenya has this level of permission! In my experience there is none. These permits took us many months (nearly two years) to navigate, on top of the ridicule and emotions Kris was forced to contend with. The patience, commitment and devotion Kris put forward in order to obey local laws, institutional policies and to listen to personal concerns were formidable. Charges against Kristofer Helgen regarding this project, in view of these laws, and everyone’s familiarity with his character, have no merit. Even though Kenya has many agencies looking after biological resources (KWS, KFS, NEMA, KARI, KEFRI), only one is mandated to take care of collections-NMK. Like in any other collection based expeditions, samples from Mt Kenya expedition are legal property of NMK (held in trust for the people of Kenya). It is for this reason that the MTA for this and others have a loan reference number. They are to be returned to NMK at expiry of loan or after concluding research. Specimen collections that Kris exported to USA are property of NMK on loan to SI. I realize suspicions have arisen about intentions over the various versions and drafts of the MTAs involved here at NMK, but I can personally vouch firsthand that Kris had no bad intentions in any action or engagement with me or NMK. I confirm as the project’s sponsor in Kenya that any issues reflect basic misunderstandings of the situation and plans. Kris regularly noted that the various MTA lists might need review and further attention from Smithsonian before export of samples to US. This all seems very strange. Why the Smithsonian should handle a loyal scientist like Kris with such distrust is shocking and very saddening to me. I see no way to understand this. I am made to understand that Kris Helgen is also accused of illegally exporting wild dog samples from Kenya to the USA. There is no basis for this claim! The wild dog samples involved are various tissues which are NMK collections under my research program. The samples were to be analysed at University of California by myself and Prof Hillary Young, of which there is a parallel approval from University of California. These samples are of course legal (why have they been called illegal?) and are NOT associated with paperwork and permissions for Mt Kenya samples, in any way! To the very best of my knowledge, these samples have not left Kenya for USA or anywhere. Kris helped us with our requests about how to handle these specimens after they were left in Nairobi by Hillary, and he did so with NMK affiliation and permission. How can Kris Helgen be accused of exporting what was not his and was never exported. He was not involved in plans or paperwork for this project. It seems like this is a strange premise meant to pour suspicion on Kris. It really shocks to hear that Kris Helgen is suspended and is considered for sacking because he is suspected to have tried/attempted to obstruct KWS officer from inspecting the samples collected on the expedition. Whereas it is me who picked a phone and called KWS officer, Priscillar, inviting her to catalogue our samples, it is actually Kris who instructed me to do so. How can he invite this person if he intends to “hide” what should be inspected!! There was never a plan to open frozen tanks for good reasons everyone understands. Are investigators really after the truth in this case? This is an imaginary charge. The idea championed by Dr Molly McDonough to study genomics or transcriptome of small mammals was associated with two conditions: a) muscle tissues were to be extracted within one minute of knocking down the animal and putting straight to the liquid nitrogen, b) the samples were to be protected from thermal shock. This idea was hatched in middle camp (where Molly and I were based) but enjoyed support in all the 3 camps including by Kris and Hillary. The concern that sample ‘inspection’ by KWS employee could compromise integrity of these samples was therefore discussed in a meeting where everybody attended in the lower camp, and was discussed between Kris, Hillary, and KWS leadership in advance. Everyone was aware of this plan. How this issue has become an accusation toward Kris who was in Australia and how it has become painted as a plan to hide samples from KWS officer is unfathomable. I categorically and emphatically state that the charges pressed against Dr Kristofer Helgen are baseless, have no merit and are untrue. If investigation had professional aim and respect for Kenyan situation, they would contact me as partner scientist in Kenya. This could have happened almost a year ago and I could explain situation to exonerate Kris, instead he has suffered. I also wish to reiterate that a report on the Roosevelt Resurvey Project is long overdue for submission to NEMA and NACOSTI here in Kenya. As the Kenyan counterpart for this project, this puts me under a lot of pressure to submit the reports. We cannot proceed because Smithsonian staff and review have blocked any study or further export of specimens. This is damaging to investment from NMK and all partners and making my situation challenging. I would have thought that everyone knows Kris never breaks rules and is loyal to his museum. He is a senior mammalogist deserving respect. I am appalled by his treatment. I appeal to the leadership of NMNH-SI to at long last look with sense at the true picture, and allow Kris to continue with his research, especially on the Roosevelt samples so that he can send us the report and we can maintain good faith partnerships and move on with the science from this important and long planned expedition and collaboration. Finally, I advise, as Curator of Mammals at NMK and the Kenyan co-PI in the project that if Smithsonian continues to pursue action against Kris under false pretence, I must insist that NMNH is required to repatriate all the specimens back to Kenya immediately to enable further analysis and reporting. I hope the investigating committee will choose the path of truth and justice over malice and rumour. 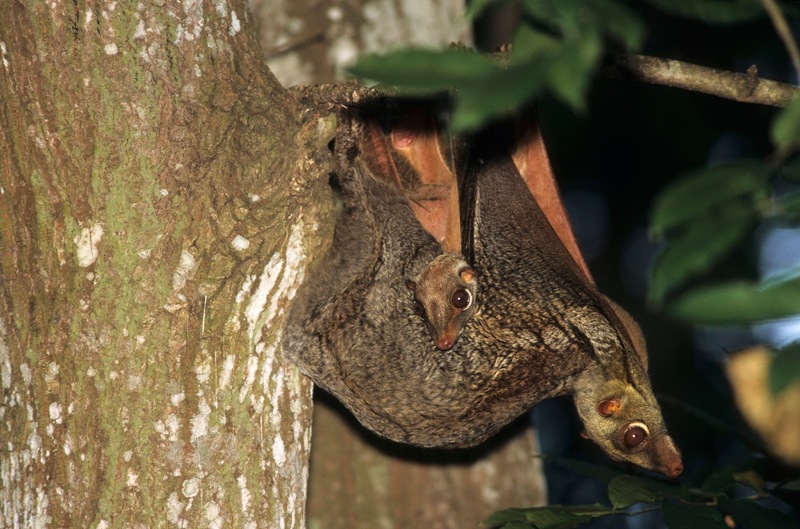 The critter shown at the left is a colugo, a gliding mammal that lives in trees in Southeast Asia. 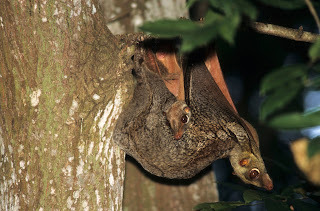 If you look closely you can see a little colugo baby clinging to its mother. In today's online issue of Science Advances, a team led by William Murphy and Victor Mason of Texas A&M University in College Station, and Kris Helgen of the National Museum of Natural History (NMNH) in Washington, D.C., reports sequencing the genome of a Sunda colugo from West Java and comparing it to the genomes of 21 species of mammals from 8 orders. Their conclusion: Colugos are the sister group of primates and not treeshrews, as other researchers have argued. I'm sure this paper will not end the debate, and mammalogists will no doubt be discussing this important publication for some time to come. Helgen is not supposed to talk to the press while the disciplinary proceedings continue. I asked Sarah Goforth, the assistant director for communications at the NMNH, whether they would make an exception since Helgen is one of two corresponding authors on the paper and his Smithsonian email is listed there (which he is not allowed to use while on administrative leave.) It took Goforth some time to get me an answer on that, but it finally came earlier today. No exception: "Dr. Helgen is unavailable for comment." "Kris is a co-leader of the colugo project, which began more than seven years ago. He led and facilitated all of the museum tissue sampling at the Smithsonian, the American Museum of Natural History, and the Raffles Museum of Biodiversity in Singapore. Without this genetic and morphological sampling we could not have accomplished the museomics component of our study (Figs 3 and 4 in our paper), and we would not have obtained the evidence that colugos have been vastly underestimated in terms of their species and population genetic diversity. He aided in analyzing and interpreting the colugo dataset and played central roles in all decisions made as part of this project. The project simply would not have been accomplished without him." In other words, Helgen may be down, but, scientifically at least, he's not out. I am grateful to my terrific editors at The Verge, science editor Elizabeth Lopatto and Nilay Patel, the Editor-in-Chief, for letting me have nearly 4000 words to tell the story of Helgen's case as best I could--nearly double the original assigned length. Yet believe it or not, there are more things to say about it, and I want to lay them out here. While my story in The Verge may seem to some to have an advocacy tone, in fact, as I explain a bit more below, I did not start out thinking he was innocent of the charges against him. At first I thought I had a disturbing story about scientific misconduct. But as I looked into it, strong evidence emerged that pointed in a different direction, towards Helgen's likely innocence. If the story tilts that way, it's because of what my reporting uncovered, and not any inherent bias on my part. I have never met Kris Helgen; but I admit that I hope to one day. Was the investigation of the charges fair and impartial? Clearly not. I will refer readers to the original article for a list of the allegations and the responses to them that have been made by Helgen's supporters. The key thing I want to emphasize here is the shoddiness of the investigation conducted by Helgen's department chair, ornithologist Gary Graves. This is summarized in an 8-page document called a Proposal to Remove. I will simply say that I am intimately familiar with its contents. I have been a journalist for 38 years, and I have done a lot of investigative work during that time. I don't know how experienced Graves is in doing investigations--a task perhaps more appropriately left to professional investigators from the Smithsonian's Office of the Inspector General (OIG), which earlier cleared Helgen--but the allegations outlined in the Proposal to Remove are supported by incomplete and clearly biased evidence. There are three charges. Let me take the second two first. Charge no. 2 specifies that Helgen attempted to export samples of the endangered wild dog to the United States from Kenya. This is a serious charge because it involves U.S. law, including possibly, according to the document, the Endangered Species Act (although nobody alleges that actual animals were being exported or that they were harmed) and the Lacey Act, which concerns the import or export of materials that violate foreign laws. As I point out in the story, these wild dog samples belonged not to Helgen but to Hillary Young, his former postdoc and now an ecologist at the University of California, Santa Barbara. Graves contends that neither Helgen nor Young had the proper permits to export these samples. In the end, the samples were not exported because of confusion about the permits with the Kenya Wildlife Service (KWS) (the OIG report concluded that such confusion was behind most of the problems that came up later.) However, in on the record comments to me cited in my story, Hillary Young explained what had happened and why Helgen was trying to help her export these samples. Did Gary Graves at any time during his investigation contact Young for clarification of events, and to seek possible exculpatory evidence for Kris Helgen, as would be expected of a fair investigator? He did not, according to her statements to me, and nothing in the detailed charge sheet indicates anything to the contrary. Nor does the charge sheet make any reference to additional important documentation about Young's wild dog samples that Graves and museum officials had available before he set down his conclusions. In charge no. 3, Graves accuses Helgen of instructing his staff to hide samples from a KWS inspector. As I point out in the story, this was most likely due to a misunderstanding during email communication between Helgen and his staff while Helgen was in Australia. Graves refers to these emails in the Proposal to Remove, emails which I myself have seen (they were copied to about 7 members of the expedition team, not very smart if Helgen was trying to do something improper.) But Graves's reference to these emails, in this reporter's opinion, uses the worst kind of cherrypicking imaginable to arrive at what can only be considered a preconceived conclusion. Moreover, Graves never contacted Kenyan mammalogist Bernard Agwanda or other expedition members who knew a lot about what was going on in Kenya during these events and who, again, could have provided exculpatory evidence for Helgen. So, the evidence suggests that Graves was relying almost entirely on witnesses with a demonstrated animosity towards Helgen; and, as I point out in the story, he did not interview nor attempt to contact any of the expedition co-leaders or other members of the expedition who might have presented different facts or viewpoints. The case of the copied signature. In my story, I say that the evidence for charges 2 and 3 were very flimsy. That leaves charge no. 1, the allegation that Helgen copied the signature of NMNH associate director for science Maureen Kearney onto an export document without her knowledge and permission, as potentially the most "serious" allegation. I make clear in the story that this is the perception of some researchers. However, this charge, according to Helgen supporters knowledgeable of what actually happened, is just as flimsy as the others. Kearney had signed a Material Transfer Agreement (MTA) for some of the specimens in advance, but during the scramble at the end of the expedition to prepare samples for export a number of changes had to be made on it, and other versions prepared; other members of Helgen's staff, including at least one of the accusers, were reportedly among those who made changes. In the end the document with Kearney's copied signature was not used to export samples (apparently because Helgen was not satisfied that the paperwork passed muster), even though Helgen's supporters insist that he had intended to get Kearney's approval if it was used. But did Graves talk to Bernard Agwanda, who had intimate knowledge of how all this worked, or to Hillary Young, about the circumstances under which samples were prepared for export and the attempts to cover those exports with proper permitting? Again, no. Did he talk to KWS authorities about what happened? I don't know, but according to sources familiar with the Proposal to Remove, it does not mention any such interviews or evidence from that agency. What is the prosecution's Theory of the Case? When lawyers present a case at trial, they usually give a succinct summary of what it is all about, called a Theory of the Case. It normally includes a statement about the motivation of the accused, because intent is a major factor in determining guilt or innocence. What motivation for illegally and improperly exporting samples from Kenya does Graves provide in his charge sheet? None whatsoever. Did Helgen want to export these samples because a new species of mammal had been discovered that would boost his stellar scientific career even higher and allow him to hold a press conference or publish a hot paper in a major journal? Was Helgen risking his entire career to help his former postdoc Hillary Young get wild dog samples out of the country that were legally collected and which she insists she already had permission to export? Did Helgen, in a moment of weakness, frustration, or distraction, flaunt the very rules that he had delayed the expedition a full year to insure were followed? All of these motivations are possible, but they are not plausible, and I trust that most readers will forgive my ironic tone. Yet Graves presents no idea, no theory, no motivation on Helgen's part that would explain all this--at least none that he was willing to express in his 8-page, single-spaced document. But he and others have been expressing themselves in other ways, which I will now turn to. Is "confidentiality" designed to protect the accused employee or the institution? During the preparation of my story for The Verge, I received a number of sanctimonious statements from NMNH and Smithsonian officials about the confidentiality of the disciplinary process and how that was designed to protect the accused employee. A similar statement was provided to the Washington Post when it asked for comment, and to me by Gary Graves as cited in the story. Let's cut to the chase on this one. Are the NMNH and the Smithsonian really concerned about Helgen's privacy rights, or is secrecy a good way to do whatever they want behind closed doors? I did not find out about this case from Kris Helgen. Before I started working on this story, I had no idea who he was, since mammals are not part of my normal science writing beat. I found out from someone I had come into contact with who is not at the museum, who had heard rumors from people inside the museum--including curators who are part of the middle echelon of the hierarchy there. How were such rumors spreading if the sanctity of the confidential process was being observed? The rumors were inaccurate, but they still had to come from somewhere--almost certainly, of course, from people who did know at least something. I pointed out in the story that I had clear evidence that Gary Graves was the origin of at least some of the stories, and I stand by my reporting on that. But I also found that the researchers who knew, or thought they knew, the most about the case were at the American Museum of Natural History, where Lunde and Edmison had previously worked. One AMNH researcher told me emphatically, off the record, that they thought Helgen was almost for sure guilty. Where did this person get their information? What made them so sure? I will leave it to readers to consider the possibilities, and the terrible damage that rumors can do to someone's reputation when they have no way to defend themselves. Sources in the museum tell me that many top administrators are away right now, either on vacation or doing other things. But of course they knew this story was coming for some time. I don't know what will happen next, or what Helgen's ultimate fate will be; he has a team of attorneys who seem to be fighting hard for him. But as a reporter, I am determined that whatever is done will be done under full public scrutiny. Secrecy has already played its insidious, corrupting role.